Tiny Houses – Are They The Answer To Our Housing Woes? 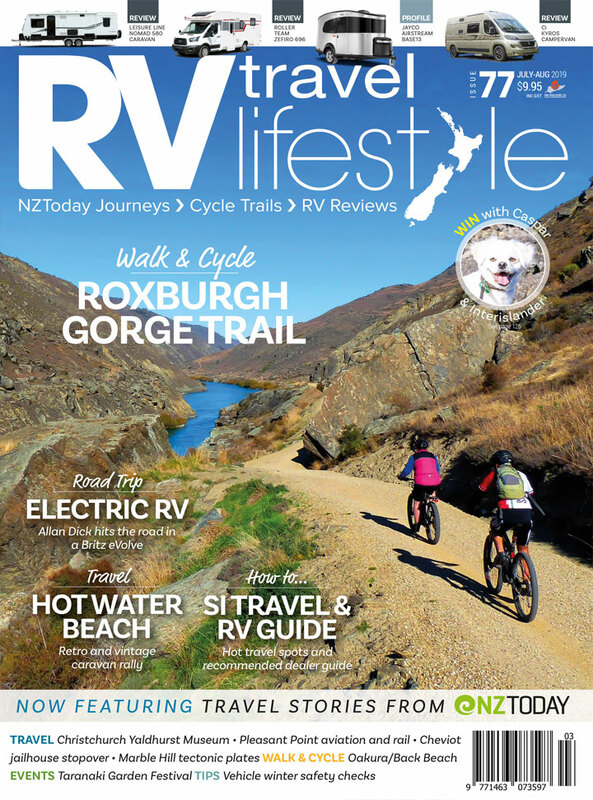 Caravan and motorhome enthusiast Steve Lane is a regular writer about the New Zealand industry – in this issue he ponders the role and influence of tiny houses on the NZ scene. Steve currently runs Kea Cabins in Auckland and surrounding areas, offering trailered accommodation units for rental and sales. I love tiny homes, or tiny houses, whichever way you want to label them. But we need to start at the beginning with the question: what constitutes a tiny house? Well, it could be anything from a small simple one-room cabin, measuring maybe 5m x 2.4m that could be used as an extra room or sleepout out the back of the family house, to a two-level beast measuring perhaps 8m + x 2.5m with upstairs-downstairs flow, and all the modern amenities you would expect in a larger house in the suburbs. So, are we seeing the demise of the caravan as we know it? Probably not, but it raised an interesting question. I’m so excited about the future of this emerging industry, one that is taking the world by storm and not just New Zealand. Everywhere you look online or on TV, you’ll see some really wonderful creations being built and it’s happening here as well, big time. On one hand you’ll see real Kiwi ingenuity and Number 8-thinking build a tiny house that will replace the old gypsy truck, using recycled timber and secondhand interior products, and at a fraction of the cost of building new. On the other, you’ll see commercial companies building what could almost double as a downtown-Auckland apartment with a price tag that is up there as well. Either way, the tiny house is a real alternative, and some would say a solution to the outrageous house prices of today. Having been to Europe, I’ve seen some of the small apartments that people live in, so it’s no wonder we’re adopting a mindset that small and compact is good. Could tiny houses help to solve the housing crisis? I doubt it – but it wouldn’t hurt either. With skyrocketing house prices meaning some people will never be able to afford their own home, this could be a solution that could see them being able to have a home that they own, something that Kiwis have always seen as their right. We used to have one of the highest home-ownership rates in the world, but that has declined over recent years due in no small way to house prices being out of reach of a lot of New Zealanders. Whatever the reason, a lot of people are looking at alternative ways to live. Some people will buy a tiny house as an alternative to a caravan to park at the beach, for others it’ll be the bach. But for many, it‘ll be their home, and a lot of people want to get off the grid and be totally self-sufficient. I know of one young couple with two young children doing just that. For a little over $100,000 they’ve invested in a two-bedroom tiny house that will give them everything they need. Solar power on the roof, a compostable toilet, full kitchen plus a roomy lounge, and still space for a 51-inch TV. No power bills and no water rates, imagine that? Their case is a little unique in that they have family land to put their tiny house on, and it’s a lovely rural area, so they’ll have privacy and real quality of life, but that’s something that should be achievable by us all. Imagine if land could be made available across the country to people who could pay a ground rent and then put their own tiny house on it? Wow, it’s so simple it could actually work, and it could create some nice communities around New Zealand in some really nice places. One downside though; I know of several people with land who have attempted to make sites available for just such a project. All they needed was a “licence to occupy”. Easy one would think, but no, having to deal with the local council to make this happen was such a nightmare they gave up and walked away. I believe it’s up to central and local government to not only support the tiny house movement, but to actively encourage it. The ingenuity and inventiveness that Kiwis are capable of, says that this is part of the future solution of our housing woes. It’s not the silver bullet, but what is? But come on central and local government, it’s time to stop doing the blah-blah we hear about the housing issue every day and get behind this. There’ll be a lot of happy people who might just vote for you one day. The answer was of course ‘yes’ and the first one is nearly complete, with more on order. He’s now being inundated with demand for all manner of tiny house design ideas and requests to build something personalised and unique. This demand has been totally organic growth through word of mouth with no marketing at all. What a good problem to have! What is absolutely certain is that we’ve only seen the beginning of this phenomenon – it’s not going to stop, and I can’t wait to see what’s over the horizon. With improvements in technology around such things as building products and solar power options, it’s going to be a good ride into an exciting future. Wishing you all safe travels, drive carefully and keep smiling.